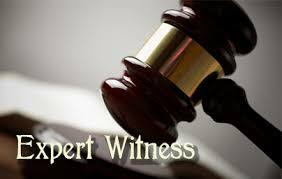 So, what is an Expert Witness? This question is often asked and the answer is, yes. A Surveyor was first used as an Expert Witness all the way back in 1782! Since that time, Surveyors regularly act as Expert Witnesses on a wide range of subjects. An Expert Witness is somebody who has specialist knowledge of a subject which he / she may give an opinion. 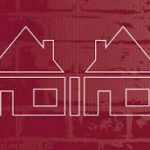 This may be relating to boundary disputes, party wall issues, dilapidations and so on. The Services of an Expert Witness are required to provide statements of facts and opinions impartially on matters of dispute. If parties of the dispute are unable to reach agreement, they can either independently or jointly appoint an Expert to prepare a report with the aim of resolving the dispute(s) prior to the contemplation of legal proceedings. 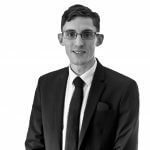 AG Managing Director, Jonathan Shaw recently gave evidence in court at a Dilapidations trial and would now like to share tips for Expert Witnesses providing evidence. Jonathan feels the most fundamental advice is to remember your duty to the court and say it as it is! You would think this goes without saying but it isn’t always easy to do if you feel pressure from your appointing client. Focus on the question; Try not to think about why the question is being asked. It is important to answer the question honestly. If you feel distracted, ask for a moment to gather your thoughts. Don’t argue; It is important to remain composed when undertaking Expert Witness duties. It is a well-known fact that Lawyers argue. Try not to get distracted by any tension and arguments as it will cause you to be unfocused on the question. Always correct any mistakes; If you say something inaccurate by mistake (it can and does happen! ), acknowledge it. Don’t ignore it as this may cause problems further down the line and you are not being entirely truthful. If you only realise the mistake afterwards, ensure you still correct the mistake by letting the relevant person know. Preparation; You need to be fully prepared for the day to ensure you are confident and feel ready to give your opinion. This may involve doing your homework but will be worth it! Ensure you have read through all related documents to refresh recollection. Don’t exaggerate; Be mindful of how far a case could go and that you may have to fight your corner! Jonathan Shaw has previously witnessed documentation being exaggerated and the case went to court, which as you can imagine may not be the most comfortable for Expert Witness. It is important to ensure that all documentation and advice throughout is accurate and contains only true facts. Remember, you may have to stand up and back up that schedule or statement one day! AG are members of The Society of Expert Witnesses and have a growing reputation for providing ‘common sense’ advice in complex technical situations.